Your website is like your company’s ambassador who is working 24/7. You do not want the ambassador to portray the wrong image in the minds of the potential customers. Web redesign is not only time consuming but also takes money. When should you undertake the daunting task of redesigning a website? Outdated Designs: One of the main reasons to opt for a redesign is if the website looks outdated. Color themes, design trends keep on changing and if your business website does not reflect the new in themes, it will hurt your business. A new website with latest features makes your customers feel that the company is in line with trends and not static. No Conversions: has there been year to year growth in the sales brought by the website. Are your visitors actually buying stuff from you? Identify why exactly lower or no new sales are being bought and focus on them. Do Not Exist In the World of Google: is your business website even showing up in the google search? Is your website SEO friendly? Are you using key words in your navigation? If not, you can make it more optimized for search engines so that the google bots can find you through headings, alt text etc. Mismatch in Website & Your brand: As businesses grow, so does the vision and the list of products/services you offer. You might have started off as a small business offering one product and no clientele, but you have grown and now offer multiple services. It is also possible that the colors used on your website are no longer in line with the marketing materials used in offline advertisement. You want to present a concise single image to the customer. Outdated Technology: If your shared content on social media website looks plain ugly, it is time for a redesign. Using old technology in your website can also lower your chances of being shown in searches and can slow your website down. Updating the website provides a smoother experience to the users. 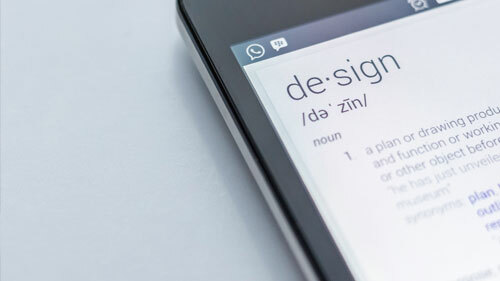 Hard to Navigate: if your website seems to leave a bad taste in the mouth of the users because they find it hard to go through it and find what they are looking for, it is time to go for a redesign. It is always helpful to keep an eye out on what your competitors are doing because your potential customers will surely compare.